Everyone asks me what in the world inspired me to do this one??? 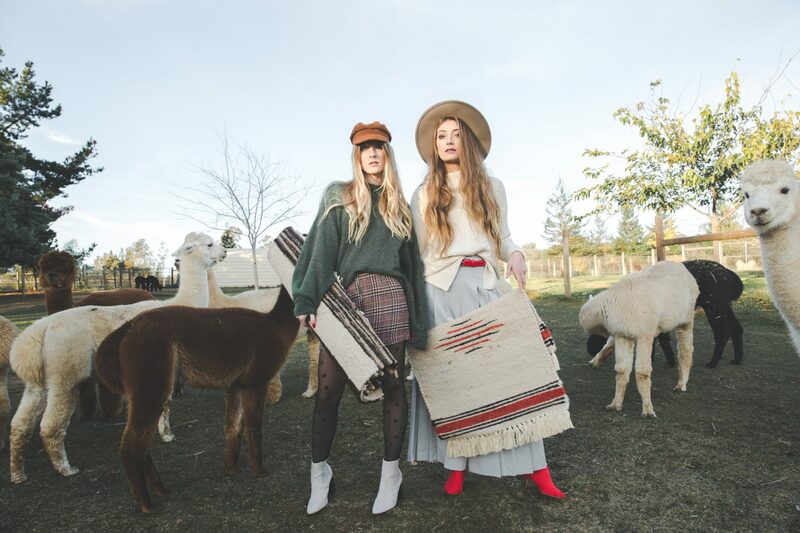 Alpacas are not what you immediately think of when you talk about fashion. Horses, dogs..maybe. But not alpacas! So that’s exactly why I went that route. Alpacas are unique animals that are easily overlooked in the photography scheme of things and that is why I just had to challenge myself to it. 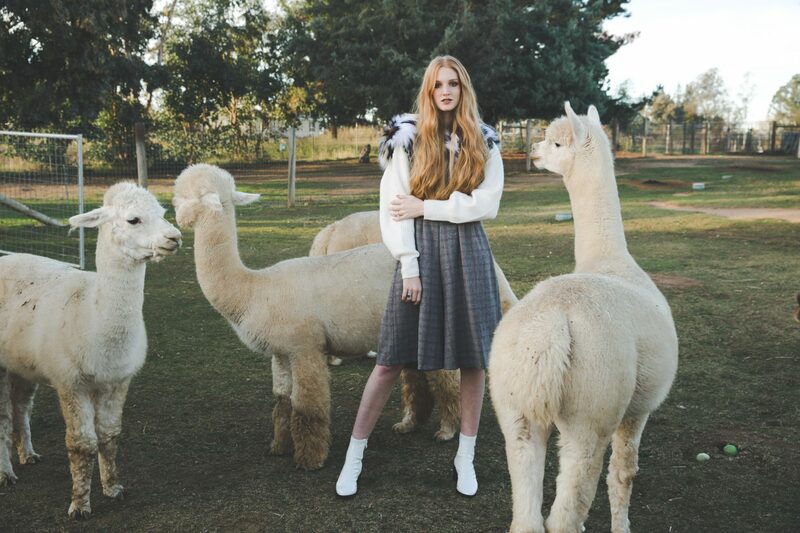 A lot of the best sweaters that I’ve ever seen are made from alpaca wool. 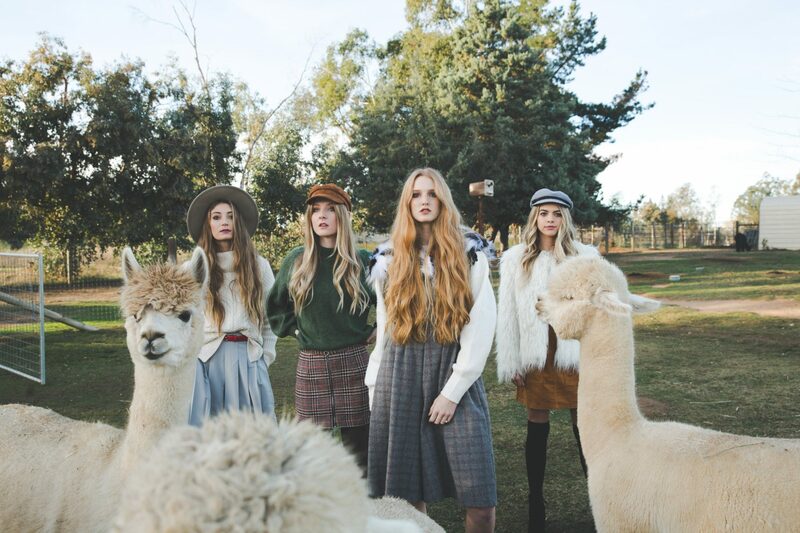 The season being early winter, I thought it would be appropriate to showcase a cozy line up of outfits next to alpacas. Immediately, I started researching all the alpaca farms in the area. A few replied but Susan, from Alpacas All Around was the most receptive person to talk to regarding this wild idea of mine. My husband and I then went to check out the farm, meet Susan and the animals. I loved everything about it! Susan is a retired nurse who lives on this farm with her husband and raises beautiful alpacas! They even have small gift shop with rugs, scarves and all alpaca related things! We then agreed to make this shoot happen. Gathering four models and make up artists that were all available the same day was a bit of a challenge. Someone was always unavailable. By the time I had all models, one of my make up artists couldn’t make it. Thankfully, Ernesto Robledo swooped in and saved the day! He ended up doing the make up for all 4 girls and didn’t even blink an eye. The actual shoot went pretty smoothly. The girls were lovin up on the alpacas as I snapped away. Capturing these animals wasn’t always easy since you cant really tell them what to do. But we found that the trick is to work with the animals and not against them (also snacks went a long way too!) In the end, we were able to capture the most beautiful shots of these animals and I am beyond happy with how it all turned out!